Bed Bugs Bite Minneapolis Duplex Landlords | Your best resource for buying, selling, owning and investing in duplexes and duplex homes. 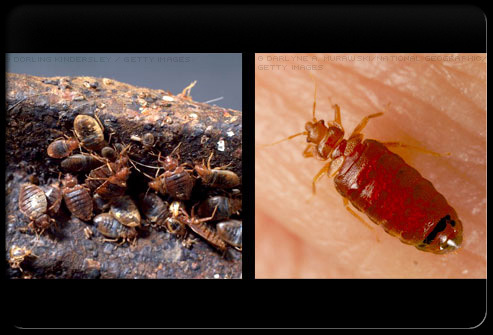 I’m glad I didn’t know what bed bugs really looked like; or what they did. Bed bugs have been in the news a lot lately. After disappearing from the U.S. for 50 years, they seem to be making a comeback. So what exactly are bed bugs? They’re small, wingless insects that feed on the blood of warm-blooded animals and tend to take up residency where those animals nest. In other words, in places like beds. What does this have to do with duplexes? Well, if you or your tenant experience a bed bug infestation, who’s responsible for cleaning it up? See, bed bugs are considered pests. And while it may be a reasonable assumption that the little critters came in with a tenant, unfortunately, they don’t wear name collars or have microchips. There’s no way to prove it. A reader recently shared a frustrating experience with a reoccurring case of bed bugs in her tenant’s unit. After the considerable cost of hiring an exterminator, not to mention the inconvenience, her tenants continued the bad habits (such as excessive clutter) conducive to bed bug infestation. Needless to say, the bed bugs came back. Does she have to pay thousands more dollars to have them eliminated? Just how much of a response does the law require she provide? According to Minnesota Attorney General Lori Swanson’s office, on a statewide level Minnesota statute 504B.161, requires only that landlords keep a property fit for use of the intended parties, and in compliance with applicable health and safety laws. Swanson’s office, however, recommends checking with the city the rental unit is located in for local ordinances. In the city of Minneapolis, for example, Ordinance 244.6, the landlord may treat the infestation herself, provided the eradication of the pests meets with everyone’s satisfaction. If not, a city inspector may be called in. If that individual deems the infestation to be widespread and severe, the owner may be required to hire a licensed contractor to do so. Of course, I’m no attorney and if you’ve got bed bugs, it wouldn’t hurt to call yours.